The original oil painting is painted on hand-stretched cotton canvas, 48″x38″ with gallery-wrapped sides. 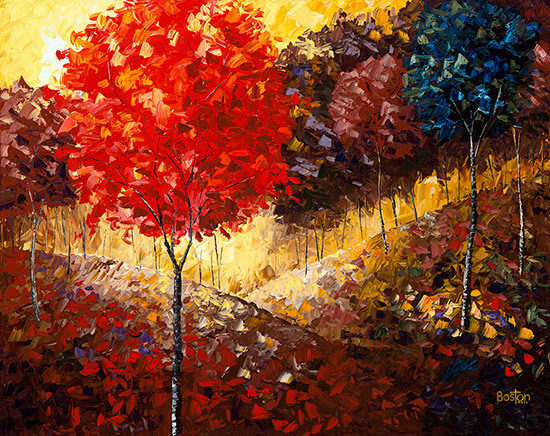 My palette knife impasto painting technique creates a lively textured surface, with really thick paint. I love fall colors and the apparent brightness of the sun on misty fall days. High-quality giclée prints also available. Please contact the artist for details.